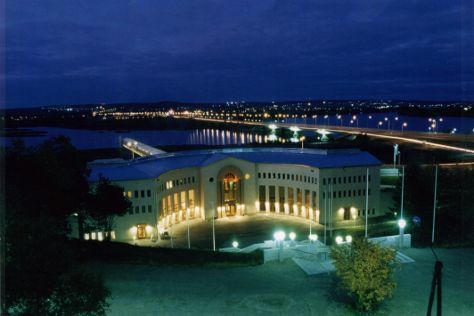 Get some cultural insight at Arktikum and Rovaniemi Church. Kids will enjoy Santa Claus Village and Feelapland. Get out of town with these interesting Rovaniemi side-trips: Pyha-Luosto National Park (in Pyhatunturi) and The Provincial Museum Of Tornio Valley (in Tornio). And it doesn't end there: get in on the family fun at SantaPark - the Home Cavern of Santa Claus, see Santa Claus Office, see the interesting displays at Christmas House Santa, and stop by Your Piece Of Finland. To find more things to do, other places to visit, ratings, and tourist information, go to the Rovaniemi attractions planning tool . In December, daily temperatures in Rovaniemi can reach -6°C, while at night they dip to -13°C. Wrap up your sightseeing on the 26th (Thu) to allow time to travel back home.